Remember when the Nintendo 3DS launched and the Nintendo eShop was an intangible thing that was not yet in existence? Not so good times. Nintendo's eShop finally launched on June 6th, 2011 in North America and the following day in Europe and Japan. With it it brought a selection of Virtual Console games, the ability to purchase DSiWare games on 3DS, and eventually original content specially made for the eShop for 3DS users exclusively. This list consists of the best original 3DS games. Applications like Pokedex 3D and Swapnote, however great, will not be listed. The pickings were slim at first, but now the library of the eShop is more robust with more first and third party games in the pipeline and coming soon. Which five original eShop titles make the downloadable grade? Only way to find out is to press on and read my abbreviated list. 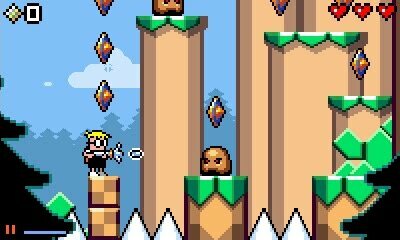 Coming from the small team that created some of the most graphically impressive and ambitious Nintendo DS games like Moon and Dementium comes a taste of the retro variety with Mutant Mudds. Coined as a 12-bit platformer, Renegade Kid's newest treasure has players venturing through pixelated worlds as hero, Max, on his journey to oust the titular creatures of the game, master devious jumping gymnastics as he switches between the foreground and background, and collect Water Sprites and Golden Diamonds. The game is riddled with secrets to discover and challenging yet satisfying gameplay. Those hankering for an old-school game with new-school sensibilities should check out Mutant Mudds. 4) Freakyforms: Your Creations, Alive! 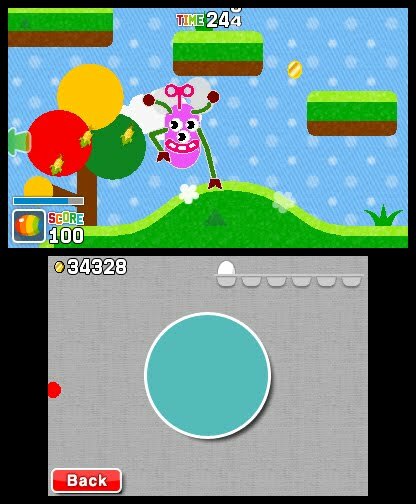 One of Nintendo's first downloadable titles exclusively for 3DSWare, Freakyforms: Your Creations, Alive! pits you as the artiste. 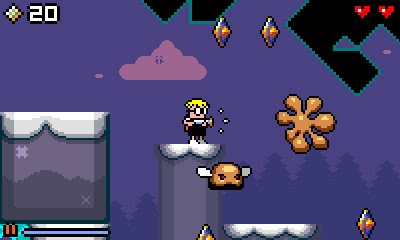 You craft a creation using various shapes, arms, legs, and features, and unleash them into a 2D platforming world, collecting coins to purchase new doodads, completing missions for fellow Freakyforms, and opening up treasure chests. The controls take some getting used to as you solely utilize the stylus to sling your custom creations all over the landscape. As you make as many monsters and friends as possible, your planet expands as does your playground. The ability to share creations via QR codes makes you want to manufacture the best possible Freakforms as you can. 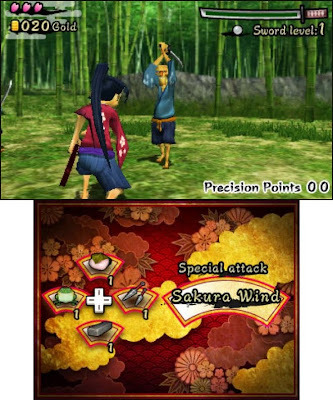 Sakura Samurai: Art of the Sword is like Punch-Out!! except instead of punching pugilists, bright lights, and boxing rings, you have dueling blades, flashy kimonos, and feudal Japanese forests and castles. 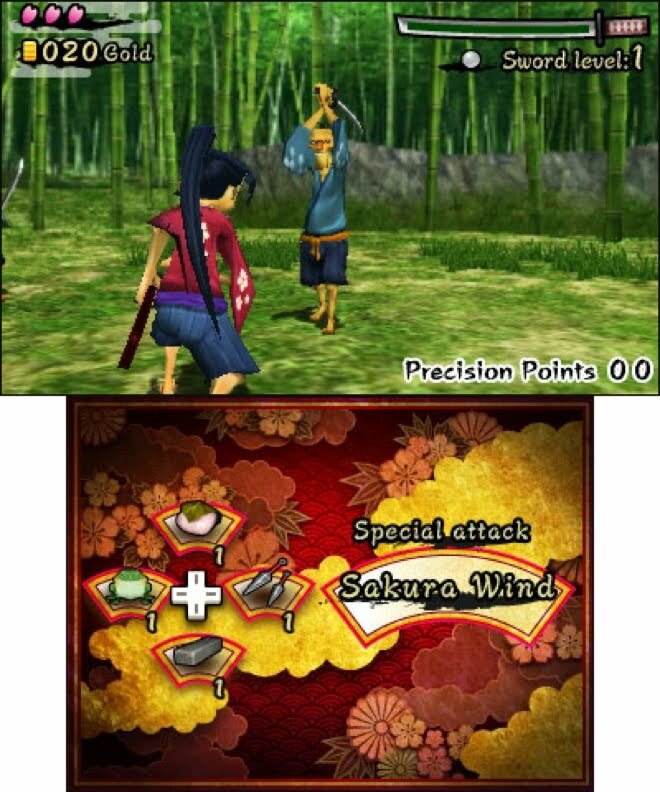 Your goal as a lone swordsman is to save Princess Cherry Blossom. Unfortunately (well, fortunately as there would be no game without them), the big bad has let loose a load of henchmen wielding swords and other fierce weaponry. You need skill and style to attack at the right moment and dodge with quick precision. In between duels with savage foes and big bosses are trips to the local villages to acquire new gear, assistance, and help from the kinder. Keep your wits about you and your sword strong as button mashing will only lead to a dull blade. 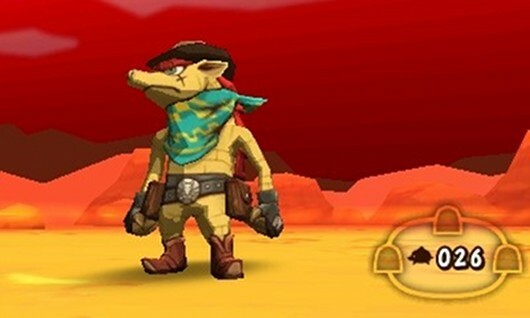 Combining intense action with tower defense, Dillon's Rolling Western has the titular armadillo rolling around the land in ten towns each with a three day cycle. One day you're gathering materials while another you're fending off vicious and ever-vigilant enemy Grocks as they march slowly and steadily to eat up each town's collection of animals. Only you and your strategic positioning of gun turrets and other towers can assist each town in their survival. Rolling around each of the game's large distinct areas feels incredibly smooth as you use the touch screen to determine your rolling speed and distance. Take heart, though, as the game can be quite difficult as you manage resources such as time and materials to save the day. At least you can replay towns at your leisure. At ten bucks, Dillon's Rolling Western will set you back the most financially on Nintendo's eShop. From Intelligent Systems, the studio behind Paper Mario, Advance Wars, and Fire Emblem, comes Pushmo (or Pullblox as it is known in PAL territories), the greatest game currently on the Nintendo eShop. Full of over 200 unique puzzles which have you pushing and pulling blocks to reach the trapped child within a structure of shapes. 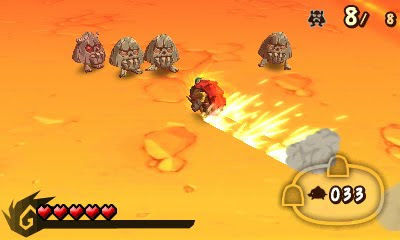 The catch is that the main character Mallo can only move a certain block at most three steps forward. As you progress through the tutorials, you learn the ins and outs of the game and reach increasingly more challenging puzzles. 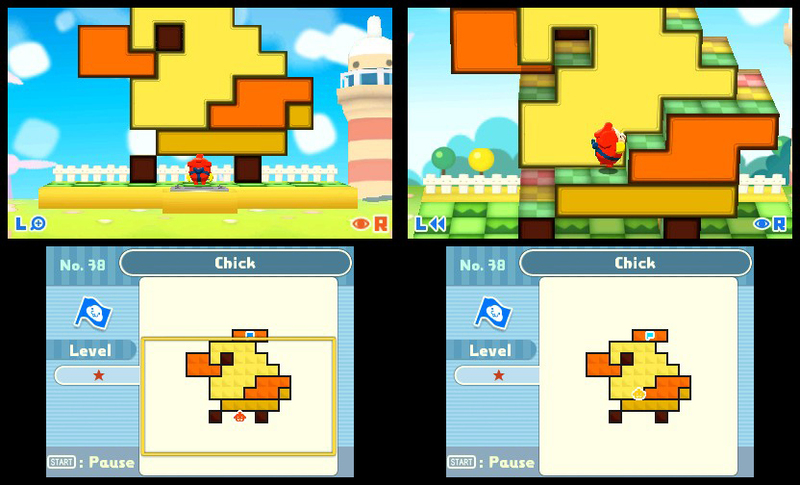 You even unlock the ability to create your own puzzles and are able to share them like Freakyforms via QR codes. The critical acclaim for Pushmo isn't just around SuperPhillip Central. It is all over the place to the smallest of blogs to the biggest of game enthusiast sites. The eShop continues to grow and evolve with unique titles unavailable on other platforms. Which five eShop games do you adore the most? Let me know in the comments section. Good list! The eShop doesn't have many games, but it's a case of quality > quantity for sure. I've only played two of these five games so far (Freakyforms and Pushmo), but I definitely agree with their inclusion.